Isn’t it hard to believe that the first part of 2011 is already gone? I think, yes, but we have the second part of this year to look forward to. Many of us create vision boards, make a list goals to be accomplished during the year as we are more likely to achieve them if we commit them to paper. First know where your heart leads you, then figure out the steps you need to take to start heading to that direction. While it’s important to keep an ultimate goal in mind, do not forget to take the time to savor your special moments and celebrate your small victories! Starting on 6/29, we will be adding a 6:15-7:15am All Levels class to our schedule on Wednesday mornings! Come and start your day with us! We have also changed our Monday and Wednesday 7:45 pm classes to Yin/Yang Yoga. This class provides all the benefits of a balanced yoga practice — a great way to finish your day! We will be having again a 2 hour All Levels Special Practice with Ursula at 9:30 am on Monday July 4th. All other classes that day are canceled! Isauro Fernandez is Back on July 10th! Isauro’s last Master Class was a huge hit last month, and now he is coming back again to lead his signature ki power vinyasa flow at IPY! The two-hour class will be held Sunday, July 10th at 11:30am. Details are on the Events page of our website. To register, send Ursula an email or call the studio at 703-795-8400. The beautiful yoga bags made by Diversion Designs are as popular as ever, come and see their new colors for the summer. We are also carrying flattering yoga clothes from Zobha, and hip tops from Third Eye Thread. We are also very excited to offer handmade and unique malas designed by Kris Loya. Come and check them out! Our RYT 200 hour Teacher Training Course Starting in September is Filling Up! We will be offering our IPY TT again this year. If you are interested, please see the Training page on our website for details and read what our graduates said about our program. We had a wonderful group last year, and this year’s is shaping up to be just as special! 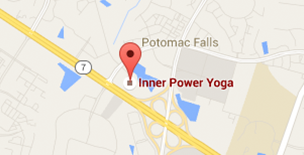 We are humbled and grateful for those of you who voted for us to win the honor of Best Yoga Studio in NoVA! This is a special recognition for our small studio, and we would like to thank you for your continued support! All of us at IPY care and appreciate each and every one of you, and feel blessed to be part of our growing community!